lthough the Wright Brothers lived and worked in Dayton, Ohio, their story takes us all over America and across two oceans. They grew up in Indiana, Ohio, and Iowa. They tested their airplanes in North Carolina and demonstrated them in Virginia, New York, France, Germany, and Italy. They set up flying schools in Maryland and Alabama, and helped others along in Texas, California, and the Philippines. Companies produced Wright aircraft in Ohio, Massachusetts, France, Germany, and England, selling them on three continents. Two Wright-trained pilots, flying Wright aircraft, crossed America. Wright exhibition teams demonstrated Wright aircraft all over America and Europe. You'll find plaques and monuments marking Wright-related historic sites over a good portion of the globe. 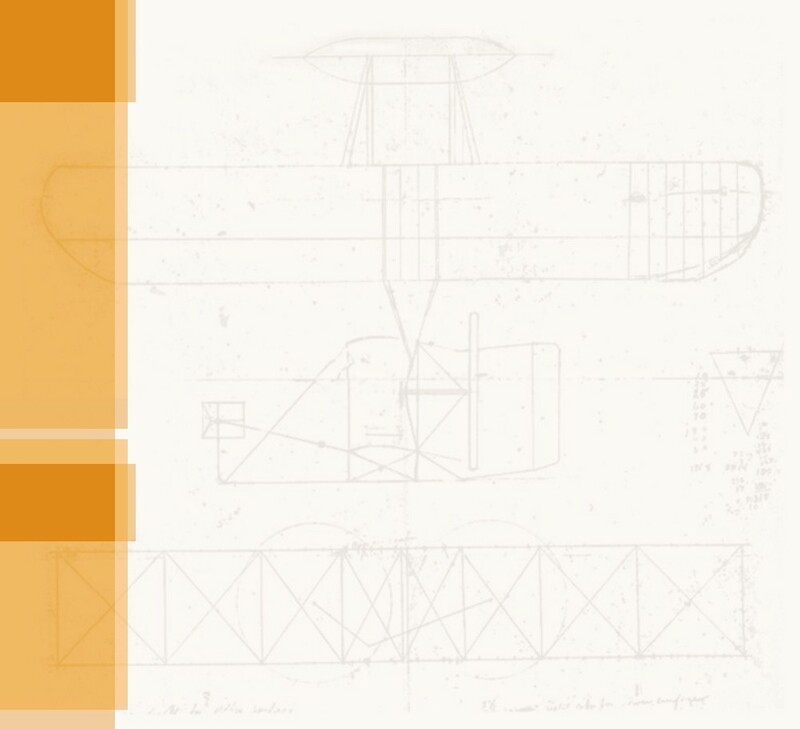 And because every airplane flying today can trace its ancestry back to the Wright gliders and Flyers, the Wrights figure prominently in many aviation museums and libraries. Consequently, there are a good many "Wright places" where you can experience a little of the Wright story. We've visited many of them during our travels, collecting information and photographs. We've posted these here along with Google maps and Google Earth placemarks so that you can conduct your own Wright expeditions – virtual or actual. The city where the Wrights lived and worked for most of their lives boasts many historic sites and museums, including Huffman Prairie (where the Wrights developed the first practical airplane) and Carillon Park (where the first practical aircraft is on display). Carillon Park, Dayton, OH – Part of the Dayton Aviation Heritage National Historic Park, Carillon Park houses the restored 1905 Wright Flyer, the world's first practical airplane. Dayton History, Inc., which runs the park, has a large collection of Wright papers and memorabilia, including a massive collection of photos and news clippings that were once in the archives of the National Cash Register Company. These include images of and information about Dayton's industrial past, including the Wright Company and Wright Flying School. Dayton Engineers Club, Dayton, OH – This is one of Orville Wright's old haunts. In fact, he was a founding member and a past president of the Engineers Club. The Club displays many historic artifacts donated by members, including Wright Engine No. 3 (their last horizontal aircraft engine) and Orvill'e pilot's license. Deeds Point, Dayton, OH – Where the Mad River and the Great Miami Rivers come together and just across the waters from downtown Dayton, is a small, forgotten little park. In this park, life-sized statues of Orville and Wilbur commemorate one of the most momentous events in the history of science and technology. Hawthorne Hill, Oakwood, OH – Once they were finally making some money from their invention, the Wright brothers and their sister Katharine determined to do what people often do when they strike it rich – the built a mansion. As mansions go, Hawthorne Hill is both modest and impressive. Kind of like the brothers themselves. Huffman Prairie, Wright-Patterson Air Force Base, OH – The Wright brothers perfected their powered aircraft here in 1904 and 1905, then began a flying school and flight research facility on this spot from 1910 to 1915. On May 25, 1910 Wilbur and Orville flew together at Huffman Prairie for the first and only time. This is part of the Dayton Aviation Heritage National Historic Park. Montgomery County and Dayton City Public Library, Dayton, OH – The main library in Dayton contains an enormous collection of Wright papers and memorabilia, including the Wright genealogical history and the minutes of the Ten Dayton Boys Club, a last-man club to which both Wilbur and his brother Lorin belonged. Paul Laurence Dunbar Library Archives, Wright State University, Dayton, OH – The archives house the largest collection of Wright papers and photos -- larger even than the Library of Congress when you consider the Dunbar Library has copies of everything the Library of Congress chose to archive plus a great deal more they left in Dayton. The Dunbar Library also offers material on Curtiss and other pioneer aviators. National Museum of the United States Air Force, Wright Patterson Air Force Base, OH – The USAF Museum displays one original Wright Model B in the same condition it was in when it was retired, plus a replica of the 1909 Military Flyer. You can also find a Bleriot XI and a Curtiss Model D here. Woodlawn Cemetery, Dayton, OH – This is where the Wright brothers, their mother Susan, father Milton, and sister Katharine are buried. The grave of their boyhood friend, Paul Laurence Dunbar, is nearby. Wright Cycle Shop, Dayton, Ohio – This is the fifth of six locations in where the Wright brothers sold and manufactured bicycles, and the only one that is still standing on its original location. This is part of the Dayton Aviation Heritage National Historic Park. Wright Hill, Riverside, OH – Just up the road from the National Museum of the Air Force, Wright Hill overlooks Huffman Prairie where the Wrights developed their Flyer into a practical airplane. Dayton's Wright Memorial is here, as well as several Indian mounds. The National Park Service maintain an interpretive center next to the memorial where you can learn just what the Wrights accomplished at Huffman Prairie. Wright Factory, Dayton, OH – The Wrights built an airplane factory in Dayton, Ohio in 1910, then sold it along with their airplane company in 1915. The buildings have passed through several hands and have had many uses during the last century, although they now sit vacant. Currently, they are under the protection of the Dayton Aviation Heritage National Historic Park. Wright Laboratory Memorial, Dayton, Ohio – After he sold the Wright Company in 1915, Orville Wright built a laboratory is his old West Dayton stomping grounds. The lab no longer exists, but a statue and a memorial park marks the spot where it once stood. where the Wrights tested their aeronautical theories and made the first few sustained, controlled flights in a powered aircraft. Black Pelican, Kitty Hawk, NC – This restaurant was once the Lifesaving Station and the telegraph station from which the Wright brothers sent a telegram on December 17, 1903 announcing that they had flown successfully. The First Wright Monument, Kitty Hawk, NC – This small obelisk, erected in 1921 by Captain William Tate and other residents of the North Carolina Outerbanks, was the first memorial to the Wright brothers on American soil. It stands in what was the front yard of Captain Tate's home, marking where Wilbur and Orville assembled their first manned glider in 1900. Jockey's Ridge State Park, Nagshead, NC – Although there is no record that the Wright brothers ever came this far south on the Outerbanks, these are the last remaining pristine sand dunes in the area. It's of interest to aviation historians and Wright scholars because it shows what the Wright brothers' Kill Devil Hill "laboratory," where they conducted all their early test flights, must have been like. Wright Brothers National Memorial, Kill Devil Hills, NC – This is where the Wright brothers flew their gliders, developing their flying skills and testing a revolutionary new dynamic aircraft control system. It's also where the Wrights made the first sustained, controlled powered flights on December 17, 1903. The displays include replicas of a 1903 Wright Flyer and a 1902 Wright Glider. Although they once stood in Dayton, Ohio, the original Wright home and Wright bicycle shop are preserved at Greenfield Village, part of the Henry Ford Museum in Dearborn, Michigan. Henry Ford moved the Wright brothers home at 7 Hawthorne Street and their bicycle shop at 1127 West Third Street from Dayton, Ohio to this location in the 1930s. It is maintained among the homes and workshops of other great American innovators. Wright Bicycle Shop, Greenfield Village, MI – This was the last of the Wright Brothers' bicycle shops and is the building where the Wrights built all of their experimental kites, gliders, and airplanes from 1899 to 1905. Henry Ford bought the building for his "Edison Institute" (now Greenfield Village) and moved it to Michigan in the 1930s. Wright Home, Greenfield Village, MI – While he was in Dayton procuring the Wright bicycle shop, Ford learned that the Wright home was also for sale. Ford bought this too and moved it to his Edison Institute. where the Wright first demonstrated their Military Flyer, where they first taught members of the US military to fly, and where some of the most precious Wright and Wright-related artifacts are now displayed. College Park Aviation Museum, College Park, MD – This is where the Wright Brothers set up the first flying school for military aviators in 1909. From this location Wilbur Wright carried the first woman passenger to fly from American soil, Mrs. Ralf Van Deman. He also made his last public flight from College Park on November 2, 1909. Fort Myer, Virginia – This was the former estate of Robert E. Lee, and was once used to test both lighter- and heavier-than-air flying machines provided to the US Army on contract. Orville Wright demonstrated the Wright Model A here in 1908 and the Wright Military Flyer in 1909. National Air & Space Museum, Smithsonian Institution, Washington, DC – The Smithsonian National Air and Space Museum is the steward of three original Wright aircraft, including the 1903 Wright Flyer, the first aircraft to make a controlled, sustained powered flight; the 1909 Wright Military Flyer, the US Armed Forces first aircraft; and the 1911 Vin Fiz, the first aircraft to fly across the North American continent -- or any continent. All three are displayed in the Air and Space Museum's main building on the Mall. Steven F. Udvar-Hazy Center, Chantilly, VA – This is also know as the National Air & Space Museum Annex where the Smithsonian displays aircraft and spacecraft it doesn't have room to display at its main building in Washington. This museum features Samuel Langely's "Great Aerodrome," which he attempted to fly just before the Wright brothers flew at Kitty Hawk. There is also a replica of a Wright Model B.
where the Wright family once lived. John G. Koerner Farm, Union County, IN – This was the home of John Koerner and his wife Catherine, the maternal grandparents of the Wright brothers. It is no longer a farm but a private RV and trailer park called Heritage Hills Campground. A single building – a barn – remains from the old homestead. Old Franklin United Brethren Church, Franklin County, IN – This is one of the oldest United Brethren churches still in existence and it is where the Koerners came to worship. John Koerner, his wife Catherine, and other relatives of the Wright brothers on their maternal side are buried in a small cemetery just to the south of the church. Wilbur Wright Birthplace, Millville, IN – This small museum preserves the tiny farmhouse in which Wilbur Wright was born, and maintains several other buildings that tell the story of the Wright brothers. The displays include a replica of the 1903 Wright Flyer. where Wright lived and worked, and where important Wright artifacts are now displayed. Franklin Institute, Philadelphia, PA – Orville Wright gave the Franklin Institute many of his important scientific papers and artifacts, including the Wright wind tunnel balances and notebooks. The Franklin Institute also has the world's only complete and original Wright Model B.
Maxwell Air Force Base, Montgomery, AL – The Wright brothers set up a flight school on an old cotton plantation here in the winter of 1910 to train the Wright Company's first exhibition pilots, the "Wright Fliers." The school lasted only a few months, but it was the first civilian flight school in America. Hillsboro, Virginia – The birthplace of Susan Koerner Wright, the mother of Wilbur and Orville Wright. A roadside marker announces this at the crossroads of this tiny village.